Because both of my grandfathers built comfortable middle-class lives for their families as skilled tradesmen for Detroit automakers, I have tremendous respect for the dignity and value of skilled trades careers. But every time I find myself in front of a microphone, I use my influence as a member of the Wayne State University Board of Governors to advocate for four-year degrees as the most direct and sustainable path for Detroiters to secure 21st century prosperity. Sometimes I feel lonely in my role as a cheerleader for boosting four-year degree attainment in Michigan. Often, folks like me are made to feel elitist or out of touch. Conversely, there is no shortage of voices — from the highest levels of government to grassroots nonprofit leaders — downplaying higher education as a socio-economic ladder and instead pitching skilled trades careers as the best path for Detroiters to secure a prosperous life. However, there is overwhelming evidence of the correlation between four-year college degree attainment and economic stability. For example, in the 1980s, full-time workers with a high school diploma earned 40 percent less than those with a bachelor’s degree. Today, the earning gap between bachelor’s degree holders and high school graduates is more than 80 percent. Furthermore, college graduates are more likely to be employed than non-degree holders, even in an economic downturn. And the impact of college education extends beyond individual outcomes. As nonpartisan think tank Michigan Future Inc. pointed out in 2017, of the 15 states with the highest per capita income, 12 of them rank in the top 15 in college degree attainment. Some higher education bashers argue that college tuition is unaffordable, but a bachelor’s is more than worth the investment. A 2011 study by the Brookings Institution showed that a college degree earned its recipient a 15.2 percent return on investment through a lifetime of earnings. If that same investment was made in the stock market, it would secure only a 6.8 percent return. The same money invested in corporate bonds, gold, long-term government bonds or housing would earn even less. What better investment to make than in one’s own future? I don’t disagree that, as a nation, we must find ways to make college more accessible. At Wayne State, for example, one program we offer is the Wayne ACCESS Award, which is open to students eligible for Pell grants. As part of this program, the university helps fill the funding gap for students whose scholarship or grant money can’t cover tuition costs. In 2018, the Wayne ACCESS Award fully funded tuition and fee costs for more than 1,100 incoming freshmen — 47 percent of the class. But if we’re to move the degree attainment needle, student success can’t just be an individual concern: it must be a campuswide mission. When I was elected to the Wayne State University Board of Governors in 2012, only one in four students finished his or her bachelor’s in six years. The graduation rate was even more dismal for black students: Only 1 in 10 of them completed a bachelor’s degree within six years. 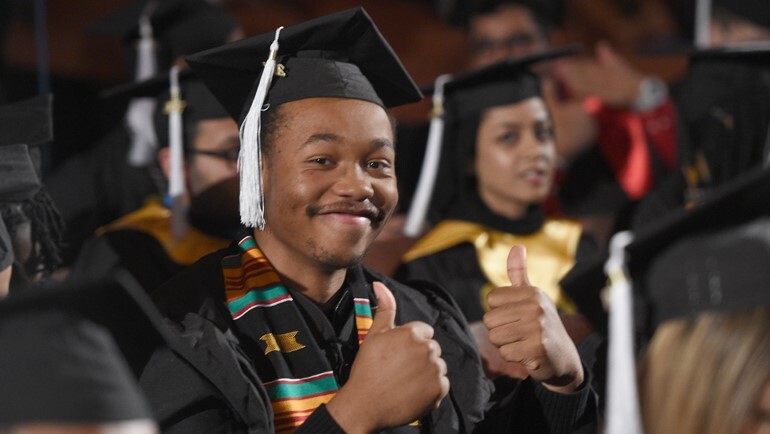 Today, Wayne State University is winning prestigious awards and earning national acclaim for the progress we’ve made in helping our students finish their degrees in a timely fashion, nearly doubling both our overall and African American undergraduate graduation rate. I, for one, won’t be satisfied until Wayne State completely closes the degree completion gap between black and white students, but I’m proud of the progress we have made. 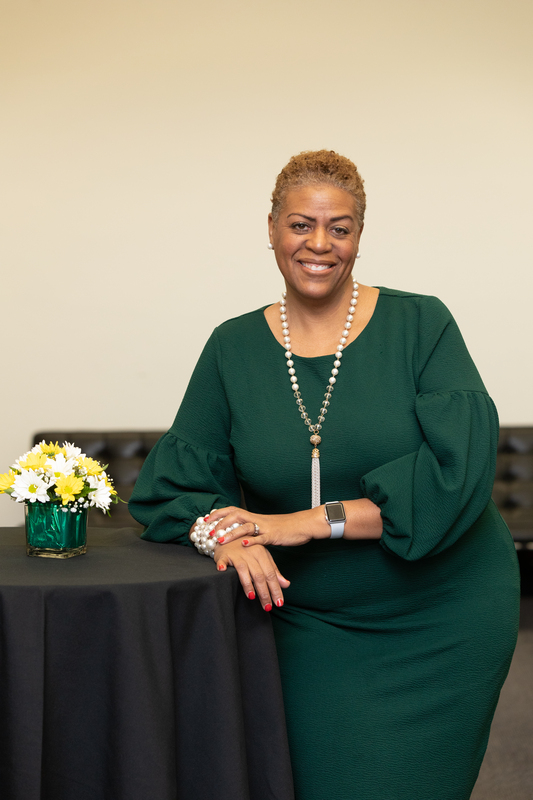 Now more than ever, it’s especially important that Wayne State University fulfills its urban mission – the promise to educate and serve Detroit’s citizens. What good will come of revitalizing Midtown buildings, attracting high-end retail shops and building upscale residential enclaves in Detroit if the families who never left the city don’t have access to the economic boom that made it all possible? Expanding college degree attainment is the best hope for ensuring that Detroiters are prepared for the jobs — and prosperity — of Detroit’s future. And so, even if my voice is an increasingly solitary one, I plan to continue to use it to push Detroiters to earn bachelor’s degrees. And I will continue to encourage Wayne State University President M. Roy Wilson and his leadership team to create and support innovative urban K-12 pipeline programs to help Detroiters thrive at Wayne State University. Kim Trent is chair of the Wayne State Board of Governors. She holds a bachelor’s degree in journalism and a master’s degree in communication, both from Wayne State.